I've done some more experimenting with the AtTiny45 microcontrollers. 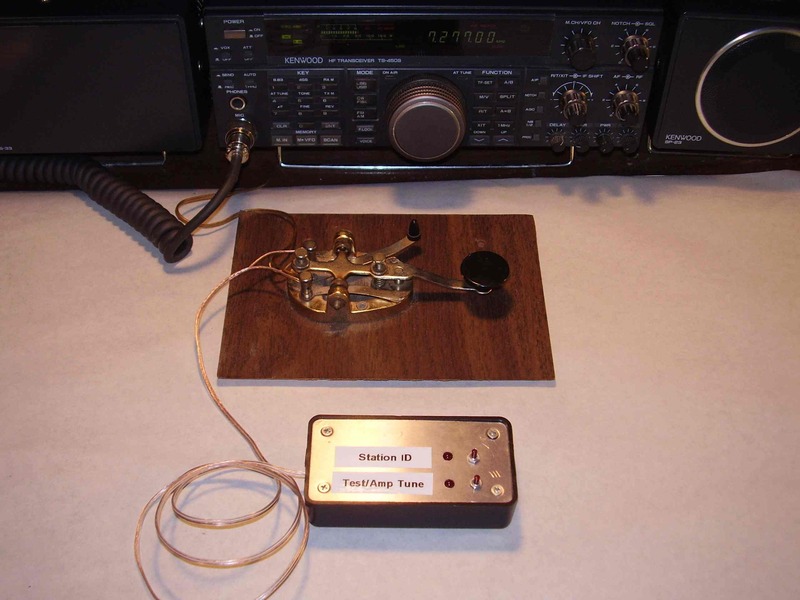 Here are some pictures of a modified version of your ThrowieTalkie transmitting morse code on amateur radio. I added a relay, and a mommentary push button switch to each circuit. I have it connected to my brass cw key and am using it with my Kenwood TS 450-S/AT. I also completed the MakerProject and have included a picture of the results. For the newbie (like me), this is how I made this project. 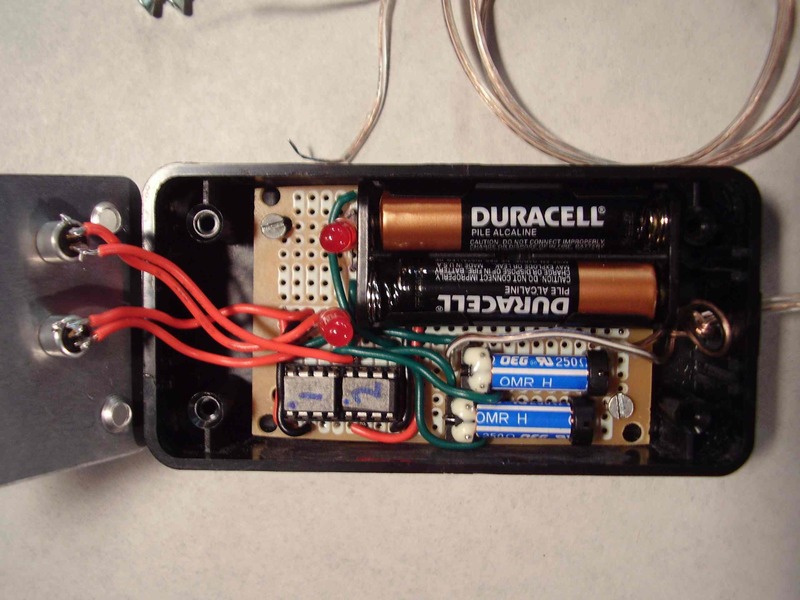 Although this project is quite simple to make, you will spend a lot of time learning something new. If you would like to take time to learn how microcontrollers are programmed and enjoy a challenge then you'll love this project. I went the less expensive route and followed the link on Ward's web site and bought the UsbTinyIsp programmer kit. After building the kit, I then downloaded the software and drivers for it and followed the UsbTinyIsp manufacuturer's instructions on how to burn a hex file to the Atmel Attiny45 chip and how to wire a "target board." Next, I had to learn how to "assemble" the files. I then downloaded the Atmel AVR Studio 4 (click the AVR Tools link in Step 2) and read the file for beginners, http://www.atmel.com/dyn ... ments/novice.pdf . After reading this file, the morse.asm file began to make much more sense to me. All I had to do then was copy and save the bynase include files (from Ward's web site) to the Atmel App Note folder on my computer and paste the text from morse.asm file to a new project in AVR Studio. 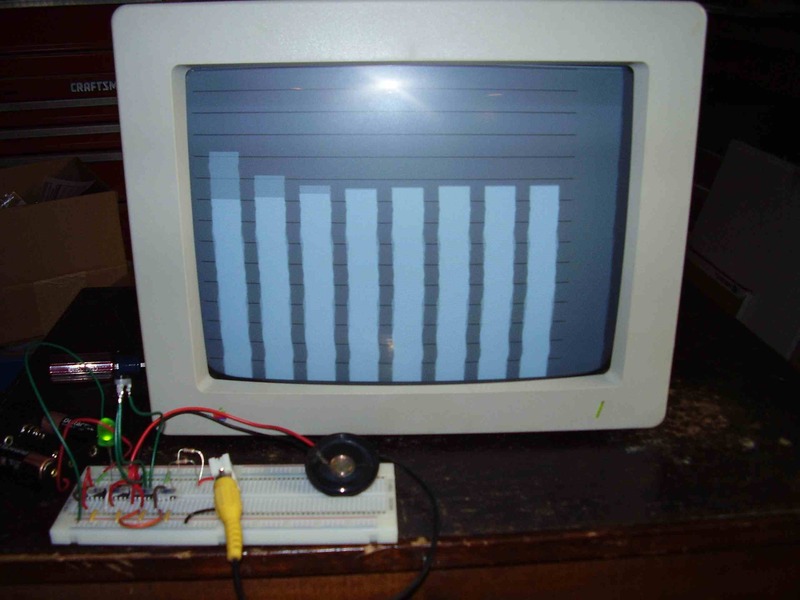 The Atmel novice tutorial will guide you in creating the hex file for you to burn to the chip. When you save the files, you may need to rename them, i.e. to save "bynase2.inc", click "save" then select "all files" for the file type and save as "bynase2.inc" instead of "bynase2.inc.txt". To find the Include files on your computer after installing AVR Studio 4, just search your hard drive (C:) for all files ending with ".inc", (i.e., Click Start, Search and enter *.inc). After finishing this project, you'll be well on your way to learning new microcomputer programming skills!